Organising an event in the great county of Suffolk? 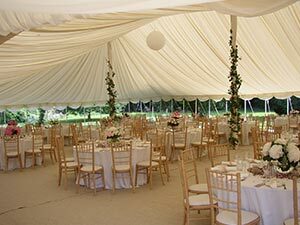 Looking for an elegant, all weather marquee? Marquees are suitable for any number of events. Of course, the classic British summer wedding is what everyone thinks about when it comes to marquees. And there is no denying the flexibility and style they bring to these special days. Happy couples get to choose the size and style of their venue, with additional extras such as terraces, bars and more making the event even more special. If you’re looking for a marquee in Suffolk for any of the below reasons or more, then just get in touch on 01953 882 394 or email sales@weatherillbrothers.co.uk to tell us about your perfect wedding and we can make it happen. Annual meetings, team bonding and other corporate social events are ideally suited for marquees. You can choose the venue, and as long as there’s a space big enough for a marquee, we can put one up. Planning a special party for a big birthday? Whether it’s 18, 21 or 100, there’s no better way to celebrate the special day than with a marquee designed around your needs. Of course, marquees don’t always have to be about pleasure. They also have a very practical purpose. If you’re looking for some part time storage that you need to keep dry, then a marquee might be the solution.